If the Greek experience of the past two years shows anything, it is that conventional Left politics, even with massive electoral support and control of the government, cannot prevail against finance capital and its international allies. European creditors continue to force Greek citizens to endure the punishing trauma of austerity politics with no credible scenario for economic recovery or social reconstruction in sight. Greek edition of "Think Like a Commoner"
After the governing coalition Syriza capitulated to creditors’ draconian demands in 2016, its credibility as a force for political change declined. Despite its best intentions, it could not deliver. The Greek people might understandably ask: Have we reached the limits of what the conventional Left can achieve within “representative democracies” whose sovereignty is so compromised by global capital? Beyond such political questions, citizens might also wonder whether centralized bureaucratic programs in this age of digital networks can ever act swiftly and responsively. 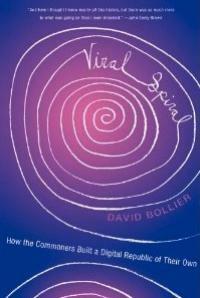 Self-organized, bottom-up federations of commoning often produce much better results. Pummeled by some harsh realities and sobered by the limits of Left politics, many Greeks are now giving the commons a serious look as a political option. 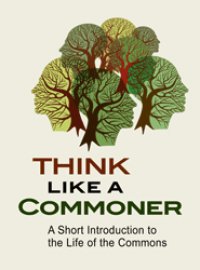 This was my impression after a recent visit to Athens where I tried to give some visibility to the recently published Greek translation of my book Think Like a Commoner. In Greek, the book is entitled Κοινά: Μια σύντομη εισαγωγή. Besides a public talk at a bookstore (video here), I spoke at the respected left Nicos Poulantzas Institute (video with Greek translation & English version), which was eager to host a discussion about commons and commoning. What changes in state power must occur for commoning to flourish as a legal form of self-provisioning and governance? 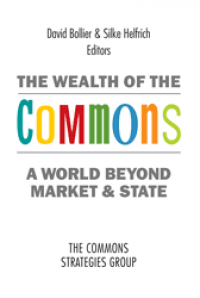 What does the success of the commons imply for the future of the state as a form of governance? Now a report that synthesizes and distills our conversations is available. The executive summary of the report is published below (and also here). 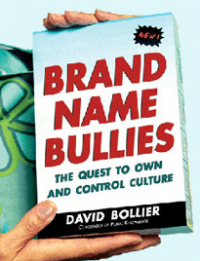 The full 50-page report can be downloaded as a pdf file here. Participants in the workshop addressed such questions as: Can commons and the state fruitfully co-exist – and if so, how? 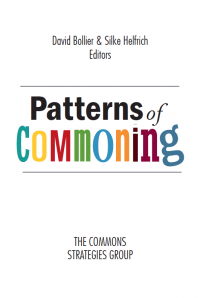 Can commoners re-imagine “the state” from a commons perspective so that its powers could be used to affirmatively support commoning and a post-capitalist, post-growth means of provisioning and governance? Can “seeing like a state,” as famously described by political scientist James C. Scott, be combined with “seeing like a commoner” and its ways of knowing, living and being? What might such a hybrid look like? These issues are becoming more important as neoliberalism attempts to reassert the ideological supremacy of “free market” dogma. 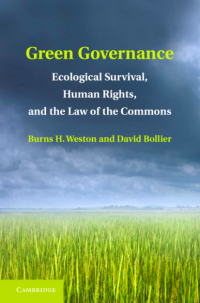 As a feasible, eco-friendly alternative, commoning is often seen as posing a symbolic or even a political and social threat. It is our hope that the report will help inaugurate a broader discussion of these issues. Silke Helfrich and Heike Loeschmann deserve much credit for helping to organize the event, with assistance from Michel Bauwens. I wrote the report, and Stacco Troncoso and Ann Marie Utratel have produced a beautiful publication and webpages. Thanks, too, to the workshop participants who shared their astute insights. Last year SYRIZA, the left coalition party elected to lead the Greek government and face down its creditors and European overlords, lost its high-stakes confrontation with neoliberalism. Greece has plunged into an even-deeper, demoralizing and perilous social and economic crisis, exacerbated by the flood of Syrian refugees. We know that the popular power once one inscribed in various democratic institutions is exhausted. We do not have enough power to make elites accept and tolerate our participation in crucial decisions. More of the same won't do it. If the ground of the battle has shifted, undermining our strategy, then it's not enough to be more competent on the shaky battleground; we need to reshape the ground. And to do that we have to expand the solution space by shifting priorities from political representation to setting up an autonomous network of production of economic and social power. The research project will focus on many interrelated themes, including open education; open innovation and science; “arts and meaning-making activities”; open design commons; distributed manufacturing; and sustainable agriculture; and open machining. The research will also explore enabling legal and institutional frameworks to support open productive capacities; new sorts of open technical infrastructures and systems for privacy, security, data ownership and digital rights; and ways to mutualize the physical infrastructures of collective life and promote collaborative consumption.